Hello all! I write to you from the 18th floor of the new Roosevelt University building overlooking Lake Michigan (it’s quite a sight). Since Dr. Schramm’s History 4001 class arrived in Chicago on Sunday (5/15) we have seen historical skyscrapers, modern skyscrapers, residential buildings, and much more. The most striking thing, to me, that we have seen has been the Frank Lloyd Wright homes/studio. First, a little back story. Frank Lloyd Wright in his early years worked with Louis Sullivan, man with large ambitions and a love of modern architecture. During the 1893 Columbian Exposition that took place right here in Chicago many of the architects were creating Beaux Art inspired buildings. Beaux Art was a type of architecture that came from L’Ecole des Beaux-Art in Paris. Large, monumental structures that were actually quite striking littered the exposition. Louis Sullivan did not like that here in America we were still using someone else’s architecture. He wanted something uniquely American. Unfortunately for Sullivan he didn’t win the day. Frank Lloyd Wright took Sullivan’s dream and ran with it (sometimes literally). He, too, wanted something distinctly American. To do this, Wright looked to the prairies of America. Their rolling hills, openness, and vast expanses inspired Wright to create the Prairie style home. Wright’s home and studio in Oak Park was a first look into his ideas. This building is geometrically striking with a large triangular section directly over the main entrance and large decorative pieces outside the studio. Initially, there is a real sense of enclosure when entering the home an that is by design. 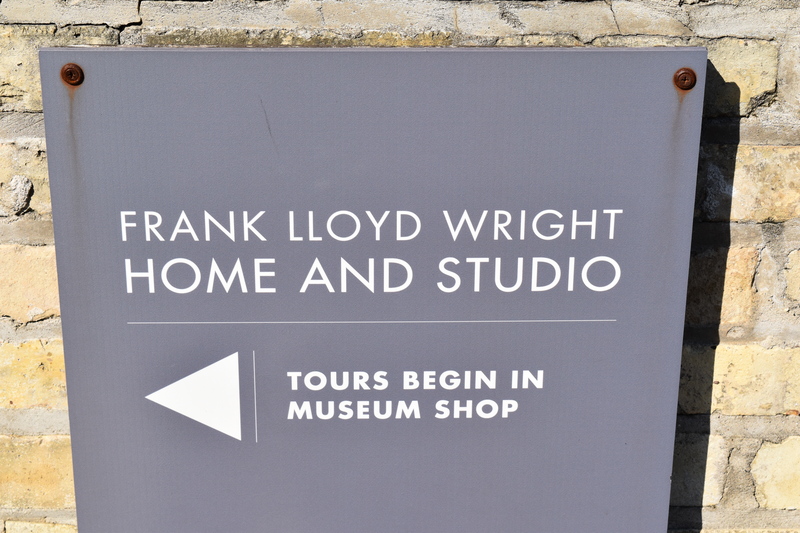 Wright was a master of purpose and everything in his homes served a specific purpose. He makes you feel like you are a part of the house, as if you have taken a journey to get there. It invokes memories of when I would climb under tress as a kid (and sometimes as an adult) and in the middle of the tree would be an open space enclosed by the tree’s branches. This “journey” is also felt when walking to the front door. He created long paths that made people view the whole home before entering. Inside he makes rooms within rooms and he makes rooms appear to disappear into the distance. A feature of the prairies is that they all go into the distance, never ending. Wright uses architectural elements and perspective to make rooms appear this way. They go on forever just like my desire to live in this next house. Wright’s home and studio was a great experience, but this next home he designed, the Robie house, accentuated all the elements of his first home and put them to the nth degree. A feature he didn’t accentuate so much in his own home was it’s length. The rooms that disappeared into the distance were a start to this thought process. The prairies are expansive pieces of land, so this would make sense. Wright used long bricks and emphasized the horizontal mortar while deemphasizing the vertical mortar. He also used low pitched roofing to emphasize length. On the inside he uses beams that span the entire length of the home. Also, the rooms seem to vanish with pointed window seats at the ends of the home. His walk-in areas had low roofs and were all around tighter spaces because he wanted you to feel a sense of relief when you stepped into the much more open living areas. Again, invoking those memories from my childhood. On top of all this he also incorporated open floor plans and day-lighting. These are two phrases we hear today. The lighting was absolutely ingenious. The walls in the living area were mostly windows (again, something we still hear about today). The roofs were designed in such a way that allowed sunlight to penetrate the length of the room in the winter and allow no sunlight in the room in the summer. That takes some intricate design work. With this home Wright really took all that he learned from his first home and applied it here. With other homes Wright has designed, such as Falling Water or the Jacob’s house, his evolution as an architect can be seen. His love of American beauty and nature is emphasized more and more each time. I wish I had the time to talk about each and every design of his, but this is where I end. I encourage you all to learn more about this great American architect and visit all of his designs.